If your business requires a custom template, you can create one following the instructions below, or contact support@metricinisghts.com to submit a request for a template with specific requirements. You can edit this template according to your requirements. 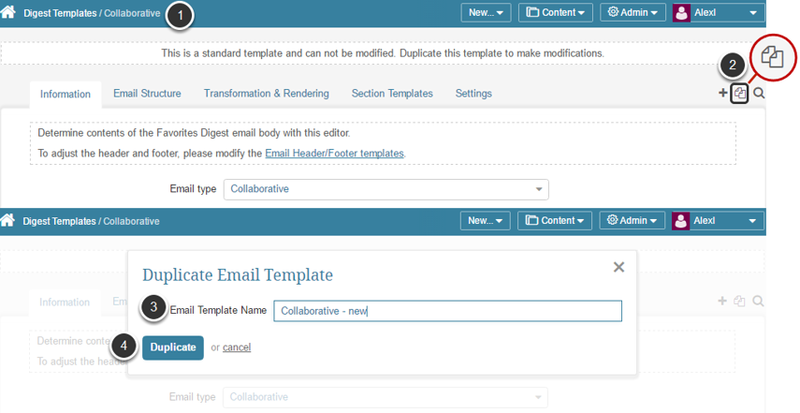 For more details on Email Template properties and settings, refer to Step 3. 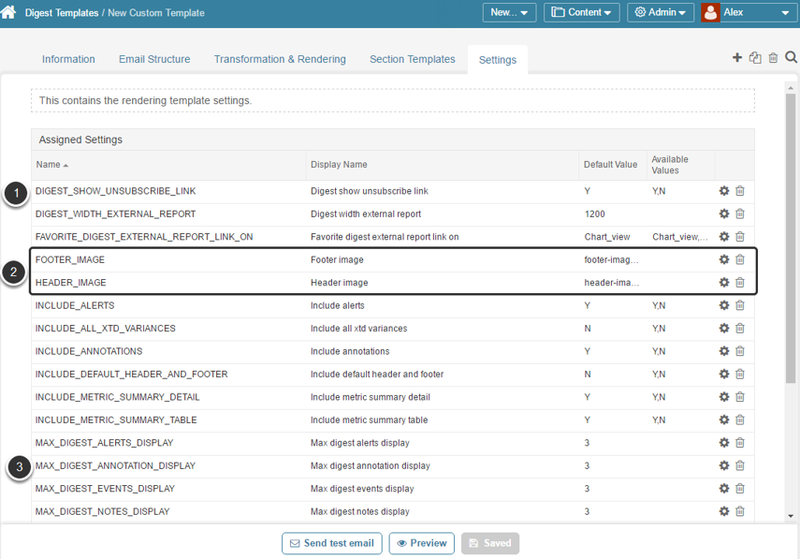 Information tab allows you to set Default templates and to specify datasets for inclusion in Preview and Test emails. 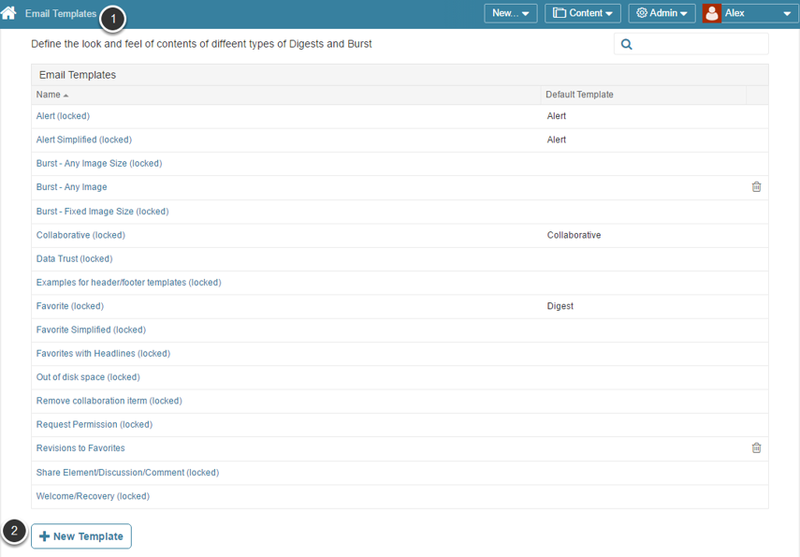 You can use this option to specify MI elements you want to see in your digest for the specified template. E.g. 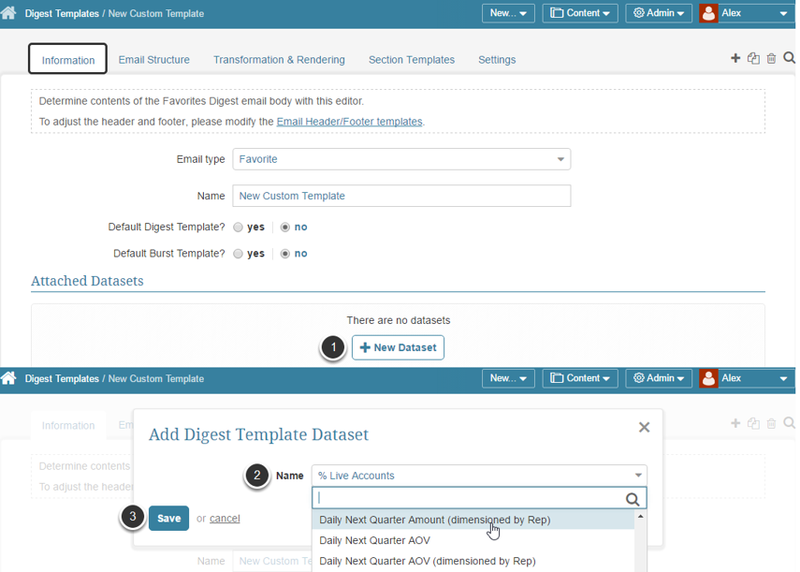 When you specify Report 1 in Dataset for a particular Digest Template and set users to receive the template emails, they will receive the Report 1 dataset in emails. 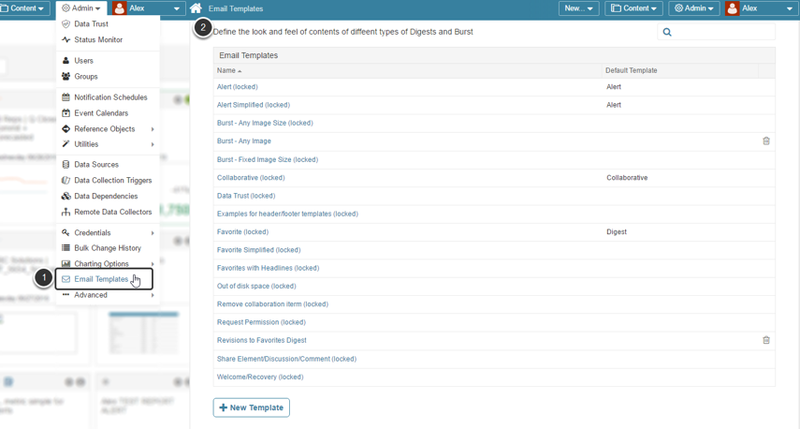 NOTE: It's not obligatory to add datasets for creating digest templates. 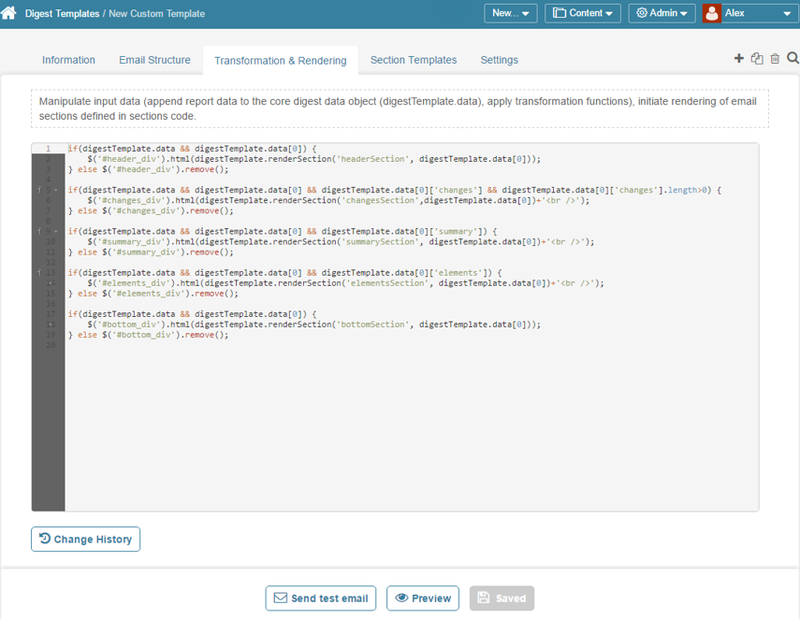 The Change history button allows you to view revisions to your code over time. The screenshot above displays the default Favorites template. You can use this as a base example of the code from which to build your own template. 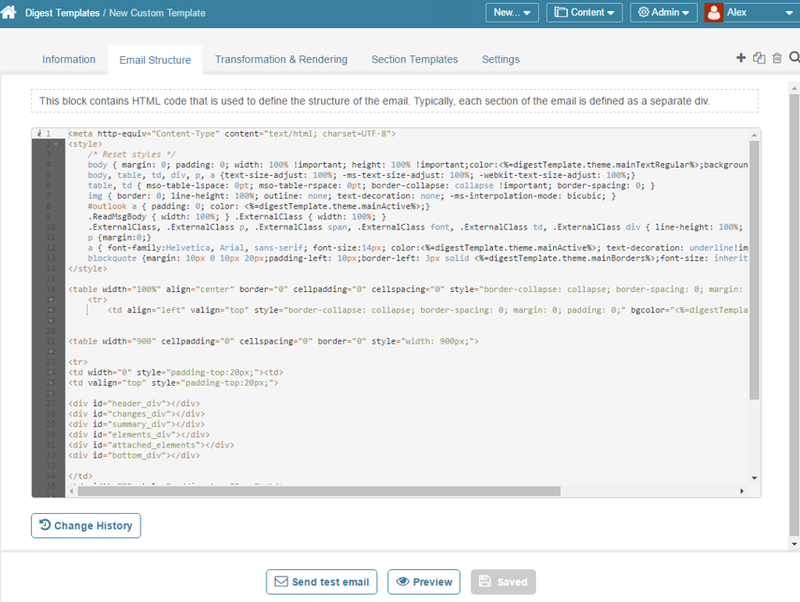 NOTE: If you duplicated one of the default templates, this tab is going to contain the HTML code that is used to define the structure of the email body. If you create a template from scratch, it is going to be empty. This tab contains the rendering template for each section identified in the sections tab. This code specifies how the data will be rendered. 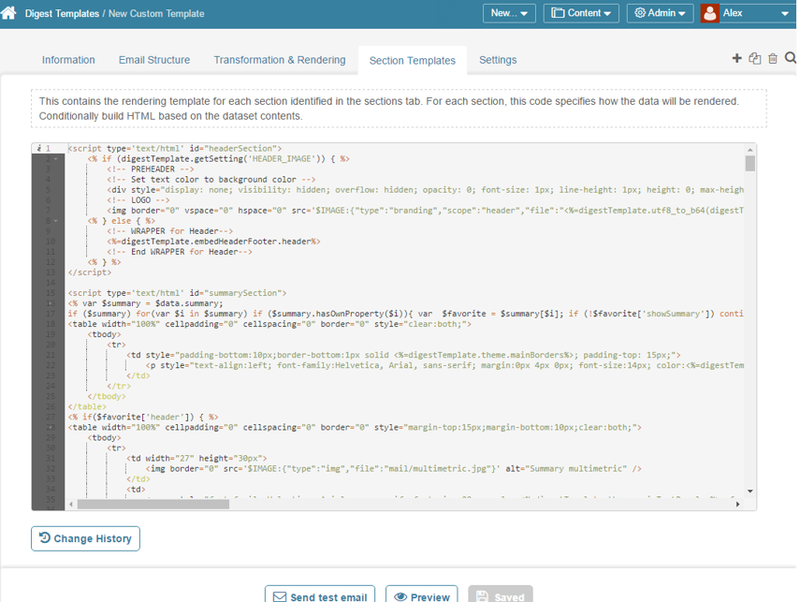 From this tab, you can manipulate the input data, such as appending report data (datasets) to the core digest data object (digestTemplate.data), applying transformation functions, and initiating the rendering of email sections as defined in the sections code. 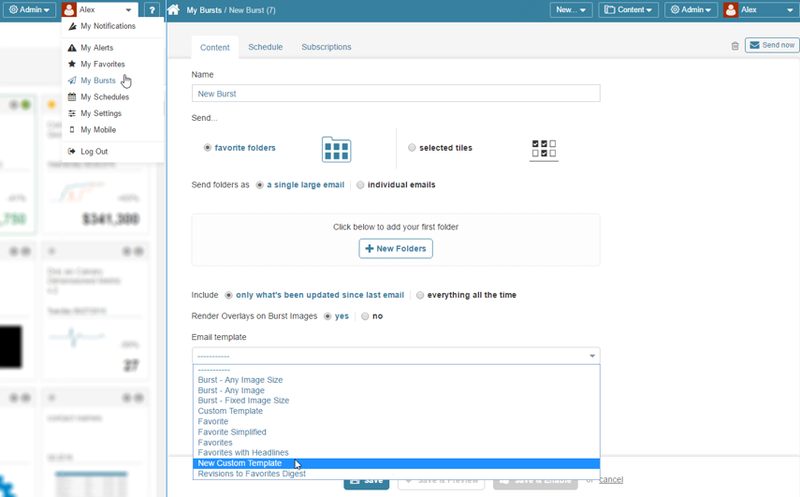 From the User menu, select "Favorites"
To learn more about Favorites Digests, visit: What are Favorites Digests? Templates are applied to your Bursts in the same manner as favorites. From the User menu, select "Bursting"